This is a quiz that contains NCLEX review questions for Celiac Disease. As a nurse providing care to a patient with Celiac Disease, it is important to know the signs and symptoms, pathophysiology, nursing management, diet education, and complications. 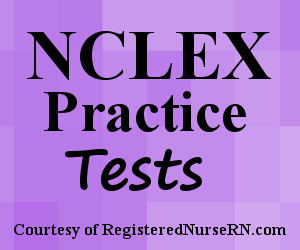 This quiz will test your knowledge on Celiac Disease in preparation for the NCLEX exam. 1. You’re educating a group of nursing students about the pathophysiology of Celiac Disease. You ask the group to identify the specific protein that plays a role in the immune reaction experienced in Celiac Disease. Which answer is correct? 2. A patient is suspected to be suffering from Celiac Disease. The physician orders an endoscopy. If the patient has Celiac Disease, what finding will be discovered with the endoscopy? 3. Which of the following is not an anti-body blood test ordered by a physician to diagnose Celiac Disease? 6. Your patient was admitted 3 days ago for treatment of severe malnourishment secondary to Celiac Disease. The patient is doing well and will be discharged tomorrow. When you arrive to the patient’s room, the patient’s friends and family are visiting and have brought dinner for the patient. Which food item below should the patient avoid consuming? 7. Gliadin is a wheat prolamin, which is a plant storage protein that is high in the amino acids particularly ____________ and ___________. 8. You’re helping a mother, whose child was recently diagnosed with Celiac Disease, read food labels. Which items below, if listed as the ingredients, should the mother avoid feeding her child?